The new production facility is MonoSol’s sixth manufacturing plant and its fourth in Indiana. 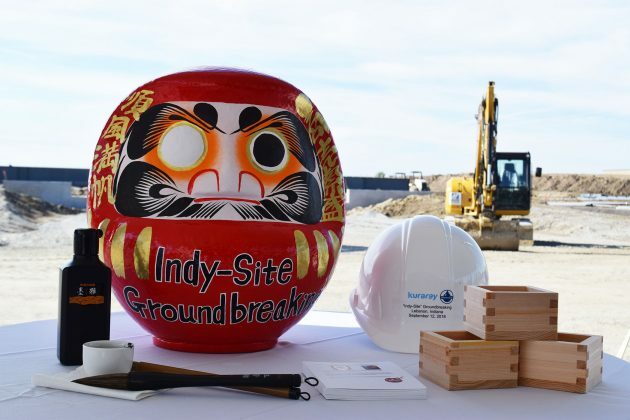 Against a backdrop of massive earth-moving equipment and stacks of structural steel, Indiana’s manufacturing base took another step forward at the ceremonial groundbreaking for MonoSol’s new plant in Lebanon, Indiana, on September 12. MonoSol and its customers continue to benefit from major capital investments by its parent company, Tokyo-based chemical manufacturer Kuraray Group, LTD. The new $72 million, 150,000-square-foot production facility is MonoSol’s sixth manufacturing plant and its fourth in Indiana. The company makes water-soluble films for single-unit-dose laundry and dishwasher detergents, personal care, food ingredients and agriculture products as well as films that are used to improve manufacturing processes. MonoSol films are made of polyvinyl alcohol (PVOH), a biodegradable, non-toxic film that dissolves in water. Construction on the site, located in the Duke Realty Lebanon Business Park, began early this spring. When the current plan is completed in late 2020, the company expects the facility to employ up to 90 workers. Founded in Indiana in 1953, MonoSol currently employs nearly 600 workers at its three plants in Northwest Indiana and its Merrillville headquarters. The company additionally manufactures its water-soluble films in the U.K. and Japan. Company leaders and employees were joined by local and state officials to celebrate the groundbreaking. 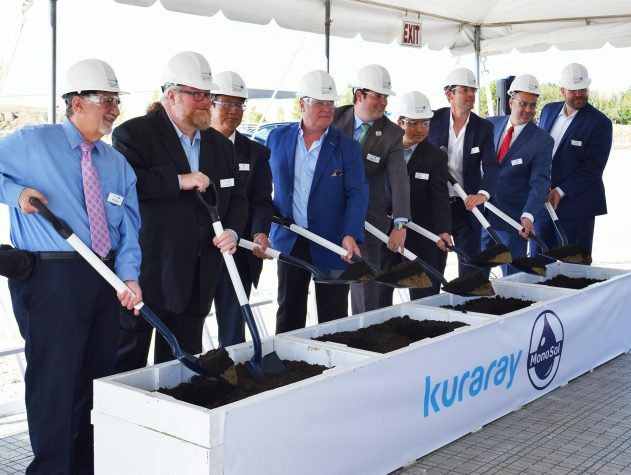 MonoSol President and Kuraray Executive Officer P. Scott Bening said the project is designed to enhance the company’s proximity to its growing global customer base and provide a degree of geographic diversity. Lebanon Mayor Matt Gentry, said MonoSol’s commitment is one of the largest in a string of new investments planned for the city in recent months. MonoSol joins a growing number of Japanese-owned companies in Boone County, according to Boone County Economic Development Corporate Executive Director Molly Whitehead. Rollie Helming, senior vice president of global industry and trade at the Indiana Economic Development Corporation, echoed comments about the state’s strong ties to international companies. A Daruma doll is one of the most popular lucky charms in Japan and helps fulfill wishes. Company and local officials also participated in a traditional Japanese “Daruma” good luck ceremony. A Daruma doll is one of the most popular lucky charms in Japan and helps fulfill wishes. At the beginning of an important project, leaders paint one eye of the doll. Upon project completion, the other eye is painted in celebration of wishes being fulfilled. Construction at the site is being led by The Ross Group, Inc. with facility design by Virtue Architects. Cushman & Wakefield supported site selection and acquisition.